A bipartisan group of senators and representatives introduced a historic bill this morning that could change the cannabis legalization landscape across the United States. The STATES Act, which Trump agreed to support, would exempt state-legal cannabis from the Controlled Substances Act. In a move that’s been anticipated for weeks, Sen. Cory Gardner (R-CO) and Sen. Elizabeth Warren (D-MA), and Rep. David Joyce (R-OH) and Earl Blumenauer (D-OR) introduced the Strengthening the Tenth Amendment Entrusting States (STATES) Act this morning on Capitol Hill. The measure would exempt state-legal marijuana from the Controlled Substances Act, allowing every state to legalize and regulate cannabis (or keep it illegal) as they see fit. In a joint press conference, Sen. Gardner emphasized that the act would not mandate full nationwide legalization. Rather, it would allow each state to legalize or prohibit cannabis on its own. If a state chooses to do nothing, cannabis would remain federally illegal within that state’s borders. But in states that legalize, federal prohibitions would not apply. 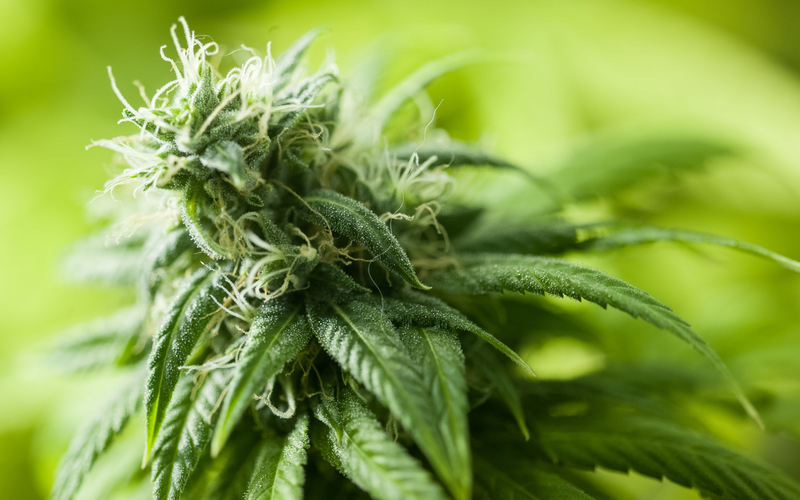 The act amends the Controlled Substances Act (CSA) so that as long as states and tribes comply with a few basic protections, its provisions no longer apply to any person acting in compliance with state or tribal laws relating to marijuana activities. The act states that compliant transactions are not trafficking and do not result in proceeds of an unlawful transaction. This would go a long way towards ending the difficulties cannabis companies have in obtaining banking services. The measure removes industrial hemp from the list of controlled substances under the CSA. The act prohibits the distribution of marijuana at transportation safety facilities such as rest areas and truck stops. The measure prohibits the distribution or sale of marijuana to persons under the age of 21 other than for medical purposes. It’s a bill that some political observers inside and outside the DC Beltway believe has a real chance of gaining some traction on Capitol Hill, and perhaps even becoming law. That’s because the measure was born, in part, from the deal Sen. Gardner cut with the Trump administration earlier this year. After Attorney General Jeff Sessions rescinded the Cole memorandum, an Obama-era Department of Justice memo that created a federal policy of non-interference in cannabis-legal states, Gardner responded with fury and action. Gardner, who represents the nation’s first state to legalize adult-use cannabis, retaliated by blocking Justice Department nominees until he reportedly received assurances from President Trump that the president would support legislation to protect each state’s right to regulate cannabis without federal interference. The STATES Act is that legislation. One of the most dramatic changes that would take place, should the STATES Act eventually become law, would be to amend the federal Controlled Substances Act (CSA). For nearly a half-century the CSA has classified cannabis as an illegal Schedule I substance, or a drug “with no currently no accepted medical use and a high potential for abuse.” Under the STATES Act, state-legal marijuana would be exempt from the CSA. The act doesn’t dissolve all federal oversight over cannabis, however. It would prohibit cannabis distribution at transportation facilities such as rest areas and truck stops. The measure would also set a federal age limit of 21 for cannabis access. The limit would not prevent those under 21 from accessing medical cannabis. Another major change: the STATES Act would amend the federal definition of marijuana to exclude industrial hemp. Hemp is a form of cannabis that contains less that 0.3% THC. For centuries, hemp was a an important agricultural crop, prior to being outlawed along with all other forms of cannabis in the 20th century. The STATES Act is also remarkable in that is has true bipartisan support. The measure’s co-sponsors are U.S. senators on opposite ends of the political spectrum. Cory Gardner is a conservative Republican. Elizabeth Warren is a vocal champion of the progressive agenda, and represents a state (Massachusetts) whose legal adult-use cannabis market is expected to open on July 1. 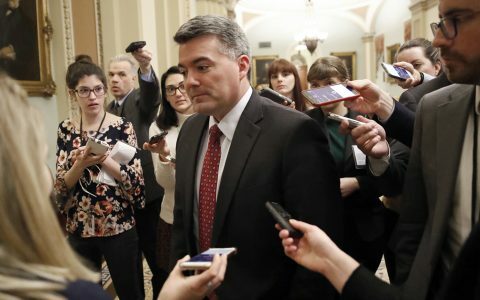 When interviewed by Yahoo News in April, Senator Gardner said that, following the reversal of the Cole memorandum in January, he had a number of conversations with Senator Warren. What About Veterans and the VA? The bill isn’t perfect yet. Even before the formal introduction of the STATES Act, Veterans Cannabis Project Founder and Executive Director Nick Etten released a statement critical of its lack of coverage for military veterans who rely on the VA for healthcare. The legislation has been endorsed by a wide range of organizations, including the American Civil Liberties Union (ACLU), Americans for Prosperity, Americans for Safe Access, Americans for Tax Reform, the Brennan Center for Justice, Campaign for Liberty, the Competitive Enterprise Institute, the Cooperative Credit Union Association, the Drug Policy Alliance, the Institute for Liberty, LatinoJustice PRLDEF, the Law Enforcement Action Partnership, the Marijuana Policy Project, the Massachusetts Bankers Association, the Maine Credit Union League, the Mountain West Credit Union Association, the National Cannabis Bar Association, the National Cannabis Industry Association, the National Conference of State Legislatures, the New Federalism Fund, NORML, the Northwest Credit Union Association, R Street, and the Taxpayers Protection Alliance. Some political observers are optimistic about the STATES Act’s chances in Congress. “I think this is the most likely bill to legalize marijuana that’s ever been introduced,” said Sal Pace, a life-long Democrat who was a former Colorado state representative and who is currently Pueblo County Commissioner. Pace was instrumental in establishing the world’s first cannabis-funded college scholarship program for every high school graduate in Pueblo Country. He also helped create the Institute of Cannabis Research at Colorado State University-Pueblo. 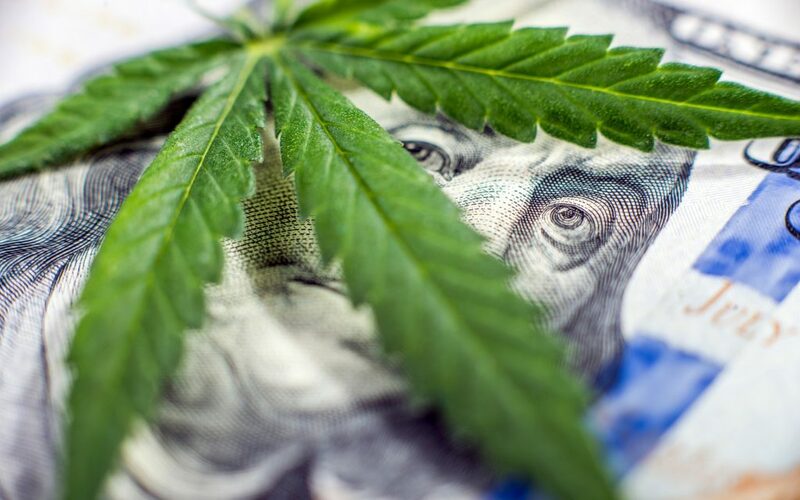 He told Leafly that the STATES Act “is an excellent, eloquent fix to a lot of problems” in cannabis-legal states, including the ongoing issue of banking and the financial sector’s reluctance to work with legal cannabis companies due to federal prohibitions. He believes Sen. Gardner is the right person at the right time when it comes to spearheading the STATES Act, especially when Gardner stood up to the Attorney General over the Cole memorandum. Sessions, said Pace, took a political gamble on cannabis and lost—and in turn created the momentum that has now lead to the STATES Act. The full text of the STATES Act is available here. Gardner is the one variable Sessions didn’t plan for. Blocking DOJ nominees was a brilliant ploy that got Trump’s attention and Trump hates Sessions right now, so he’s doing stuff just to spite him. The winds of change are blowing. Good call! An excellent step towards legalization, especially eliminating cannabis from the Schedule 1 drug testing(state level) companies do. As soon as the POTUS signs it, I’ll really believe it (tweets are commonly changed with him). Yeah, he does have a habit of changing his mind at times. Hopefully this is one he follows through on. Don’t think it has an official bill number yet, but here is the full text of the proposed bill. What effect does this have on (particularly workplace) drug testing? I understand Colorado has a law prohibiting employers from firing employees for lawful conduct during their non-working hours – would this make marijuana use officially lawful conduct?